On December 27th, CoinText.com reported that FinCEN has issued a clarification to the money service business rules for Bitcoin miners. Individuals and companies who mine Bitcoins for their own accounts will not be considered money service businesses or money transmitters within the meaning of the Bank Secrecy Act. The clarification was outlined in a letter sent in response to an inquiry on behalf of Atlantic City Bitcoin, LLC, which was reprinted in full at CoinText’s website. Since July of 2011, FinCEN has advised that many companies that deal with Bitcoins, including miners, must register as money service businesses with the Treasury Department and with any state that also regulates MSB’s, even going so far as to send cautionary letters to companies thought to be non-compliant. Though the registration process itself is not overly burdensome at first glance, money service businesses are also required to develop anti-money laundering, reporting and customer verification programs which can be prohibitively expensive to implement and maintain. 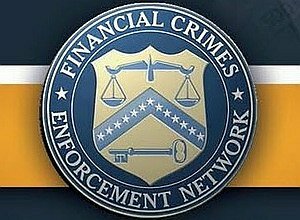 On March 18, 2013, FinCEN clarified its guidance to exclude certain activities that do not, of themselves, indicate the provision of money services: namely, the use of mined Bitcoins to purchase goods and services or exchange of mined Bitcoins for dollars. This means that private mining operations that do not sell coins to others or mine coins on behalf of others are not money service businesses and do not need to register. Neither organization as a for-profit corporation nor acceptance of investor funds has bearing on this definition. Though FinCEN’s clarification is nine months old, it does not seem to have been generally known to the Bitcoin community before the CoinText.com report. The clarified guidance should come as a significant relief to Bitcoin miners, many of whom have experienced significant problems as a result of regulatory uncertainty. In recent months, many companies that explicitly deal in Bitcoin or whose names contain the words “Bitcoin” or “bit” or some variation thereof have had their accounts frozen or closed or have been turned away while attempting to open new accounts at banks across the country. Further, the possibility of enforcement action and the specter of onerous new regulatory requirements have caused many investors to shy away from otherwise promising startups. While FinCEN’s pronouncement may not put Bitcoin into the mainstream, it goes a long way toward resolving one of its most troubling regulatory problems.